Making your own lunch at home is one of the savviest and most effective ways to save money when budgeting, but where many people fall down is creating meals that are tasty enough to make them choose their packed lunch over a quick burger from a fast food restaurant. Donal Skehan is renowned for his speed and focus on bombastic flavours, both of which he brings to the table in tonight's episode of Donal's Meals in Minutes. He offers up five speedy and scrumptious meals that provide all the nutrients you need to overcome that midday slump, and are so yummy, you'll be excited to come to work. Featuring the dish that inspired his newest series and cookbook, this episode packs a punch when it comes to flavours and variety. For his Challenge dish, Donal tackles his version of satay-inspired noodles that will have you tossing the takeaway menus to the bin. 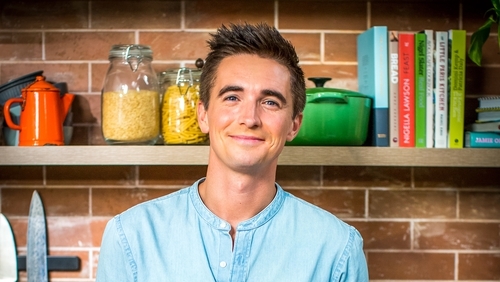 Tune into Donal Skehan's Meals in Minutes on RTÉ One tonight, Wednesday 5th, at 7:30pm.